Below you’ll find the handicappers you ought to follow over the weekend. Ricky Tran is coming off a massive 4-0 day at the bases on Friday. Primarily a basketball specialist (#4 on our NBA leaderboard), Ricky has more than once proven himself more than capable of picking baseball winners as well. Ricky has a MLB 5-Pak for just $50 going Saturday as well as a premium pick on the UFC Fight Night 89 contest between Stephen Thompson and Rory MacDonald. Jesse Schule is our best MLB handicapper both over the last seven days (+$11,410) and last 30 days (+$25,980) to take massive strides at the MLB leaderboard. You don’t want to miss Schule’s MLB *TRIPLE THREAT* 3-PAK **ALL EARLY**. We also recommend you checking out Jesse’s Summer SPECIAL subscription which will give you two weeks of picks for just $199. TJ Pemberton remains top of our MLB leaderboard after winning his only premium pick on Friday as he cashed easy with the Blue Jays. 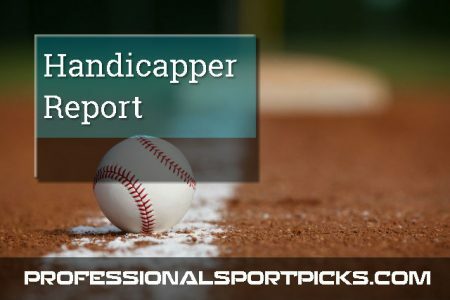 TJ has a bigger card coming up Saturday with five MLB picks loaded, with more possibly added later. With six straight MLB winners and more than $28,000 in profits for the season TJ’s MLB Season Subscription for just $350 sounds like a steal!